Absolutely beautiful navy Koret calfskin purse!! Vintage MOD 60's box shape handbag. Has wide opening with lots of storage! 2 pockets with gold colored fabric lining, a zipper pocket, and an open pocket (would totally fit your smart phone perfectly!) Large middle section to hold a number of things!! Small books, makeup, or camera! 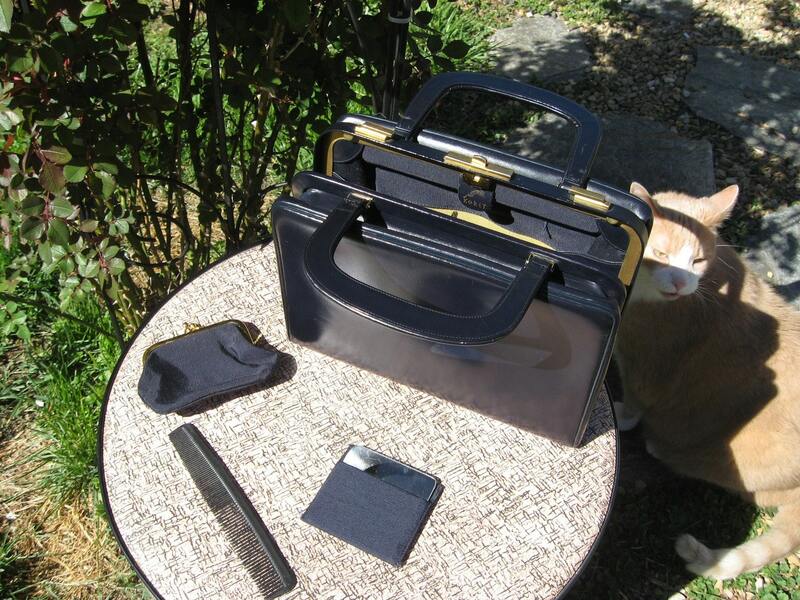 Comes with coin purse that is attached with a small delicate gold chain, a makeup mirror in a cloth case, and a comb!!! Locks close with a gold clasp you push down to open. Excellent vintage condition! Has been worn so there are a few small marks, nothing noticeable!